Fixtures in the room include custom speakers, a New Year’s Ball-inspired DJ booth, and a wall-size digital countdown clock. In all markets, millennials are causing businesses to reinvent themselves. In retail, brands are forced to improve their online shopping experience. Fashion is speeding up. Workplaces are becoming more social and tech savvy. Now, hotels, too, are meeting the high expectations of millennials by using technology to transform their lobbies and take guest experiences to the next level. As younger generations frequent hostels, dorms, and coffee shops, hotels are trying to attract them by injecting life into their formerly stagnant common areas. For example, as the lobby transforms into a destination where guests and locals can interact, the bar has now become a part of the front desk. 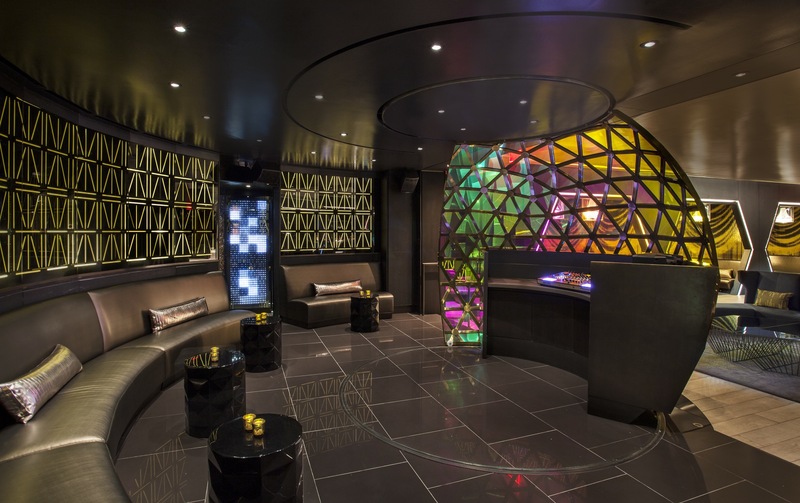 New York’s W Hotel created a space like this and styled it as a tribute to Times Square, offering a lively atmosphere that could shift from daytime to parties with a custom DJ booth and features of the legendary landmark. The iconic sights and sounds of Times Square originate from the lights, graffiti, interactive displays, and energy from tourists, street performers, and busy New Yorkers. 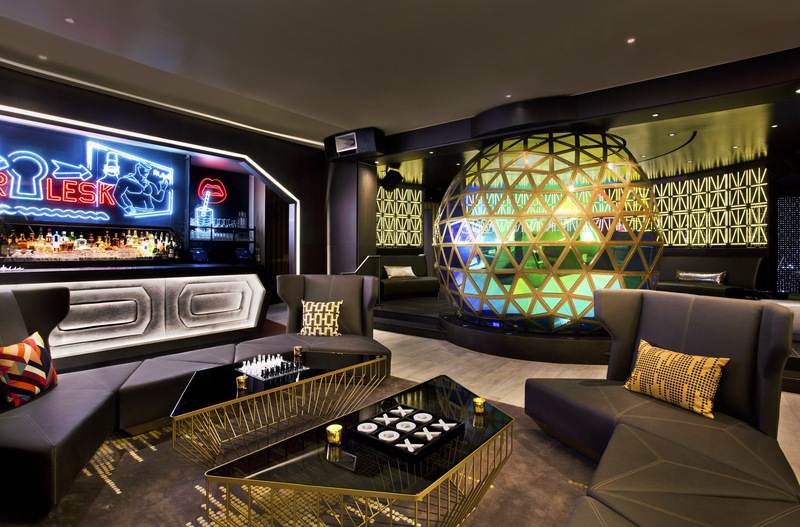 “The design of the living room at the W Hotel was leveraged from a design narrative that drew inspiration from its Time Square location,” said Fergal Hayes, project director for Capital Expenditures with Starwood Hotels, who contributed to overseeing the vision and completion of the W Hotel’s new lobby space. 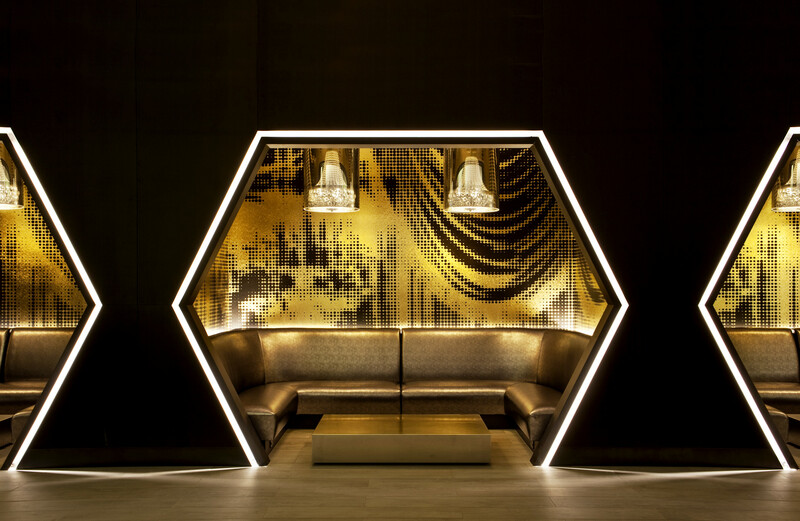 With Times Square as the motif for the W Hotel’s new lobby, a group of design teams working in cooperation with integration firm, Mode:Green, were tasked with capturing the New York landmark’s atmosphere and recreating it indoors. Adding to the modern décor, neon lighting, vibrant signs, and graffiti were custom-designed for the space and were given digital life by Mode:Green: a digital countdown clock takes up a wall reaching about seven feet tall, and the lobby-lounge teems with vibrant sound from 32 independent zones and hidden, custom speakers. But it’s not just the bright lights that make the lounge so lively – the lounge has its own digital brain, capable of shifting its atmosphere for different guests and events. All the Times Square advertisements, interactive billboards, and skyscrapers come from many different companies and the individual pieces weren’t designed to work together initially. 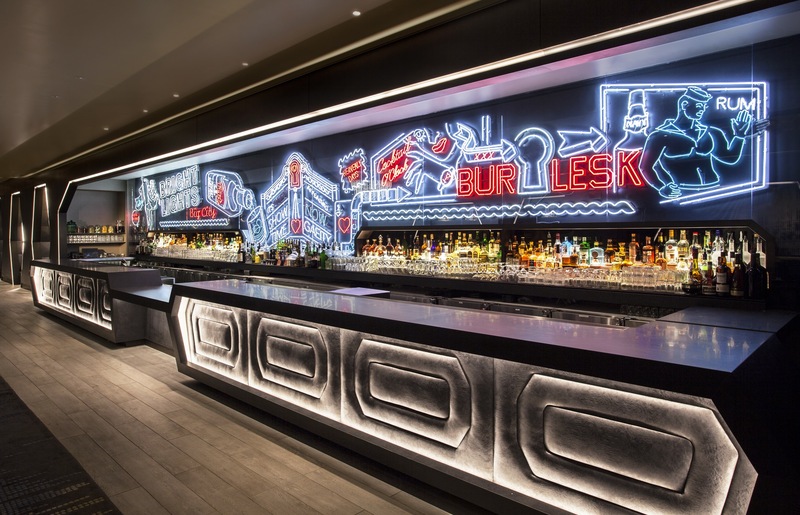 In the same way, aesthetically, W Hotel’s team of designers were challenged to create a cohesive, yet diverse space as a tribute to the Big Apple’s famous landscape. For Mode:Green, this meant taking the technology from dozens of different manufacturers and making them all communicate with one another as a singular system. 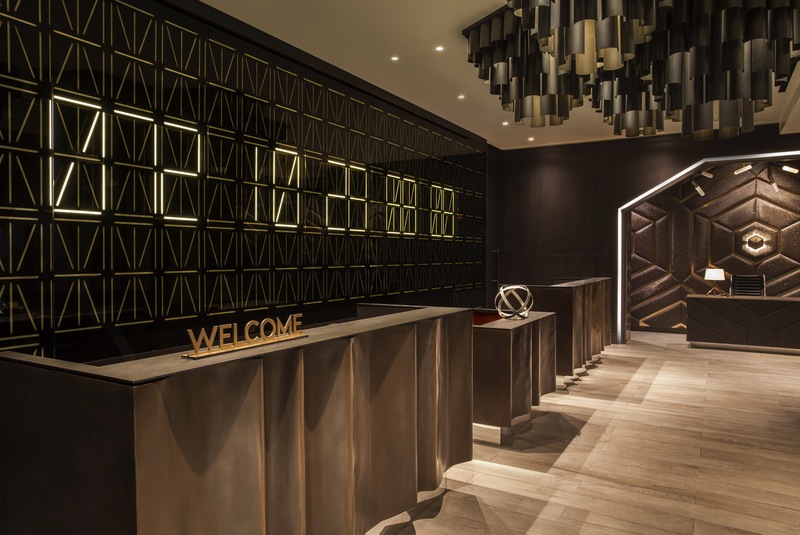 Mode:Green was the technology expert for the project, collaborating with the design team to connect all of the dozens of LED lights and custom speakers throughout the lobby and inside the private booths with one another, as well as with the wall-sized countdown clock. Doing so involved careful planning. The wiring and speakers are all hidden among the décor, where an invisible automation system makes everything simple to control. Using a touchscreen, the staff can activate and adjust every light and speaker to create the right atmosphere from a selection of presets, including Happy Hour, Morning, and Fire Alarm, which shuts off the music and brightens the lights for a safe exit. Guests in the private booths also have control over their own audio zone, so they can pump the music from the custom New-Year’s-Eve-Ball inspired DJ booth or turn it down for a quiet conversation. In large, complex construction projects like the W Hotel’s lobby-lounge, a giant timer – much like the one that sits in the finished lobby today – ticks down to the collision between final days of construction and the opening day that welcomes guests. Design work is completed early on, but the technical team races to get everything working, fine-tuned, and ready for prime time. “Every project gets compressed towards completion, and Mode:Green completed the installation in a short amount of time and was quick to solve issues,” said Hayes. Mode:Green’s approach to creating a smart space like this involves detailed collaboration with the hotel’s teams, as well as the manufacturers. While unseen by guests, the technology is as important a fixture as the custom décor. New problems often arise while working in the balance between design and technological smarts; Mode:Green had to make last-minute changes to accommodate the space as it came to life. “At the end, last-minute changes of speakers being switched out from the original design to more appropriately fit the space were required, and Mode:Green reacted quickly to make it work in time for the reveal,” said Hayes. The W Hotel’s Times Square lobby-lounge welcomed guests on the deadline for its opening, without a glitch — despite New-York-fast changes that had to be made in the final construction days. “In a world where customer service has evaporated, Mode:Green is still holding on to being proactive in maintaining high levels of customer service; they show up when needed, and you’re confident that they’re going to stand behind their installation,” stated Hayes. Hotels face a new challenge to create lobbies that are immersive, social environments. It’s a design and, now, a technological challenge, but the result can differentiate a brand and nurture a crop of new, young guests who will become loyal patrons.